Catfish is excellent table fare, but sadly the experience is usually limited to only a handful of restaurants unless you know an avid fisherman. Unfortunately, both only know how to eat it one way - deep fried. A deep fried slab of catfish is okay every now and then, but after years of greasy beer batter and crispy cornmeal, it leaves something to be desired. Originally, catfish was fried because of its unique physiology. The fish has a scale-free, slime covered skin that allows it to essentially taste its surroundings. As it is a bottom feeder, it tastes a lot of mud, thus the meat of wild catfish will also taste a bit like mud as well. As the batter covers up that taste and the fish is nice and flakey by nature, frying became cooking method of choice. However, things have changed. Now catfish don't just come from the wild, they are raised in farms. These farms give the fish a soak in clean water for a bit before they are processed that gets the muddy taste right out of the meat. Even fishermen that land a few of these can do this process at home for cleaner tasting meat. There's no need for the batter anymore, at least not all the time. 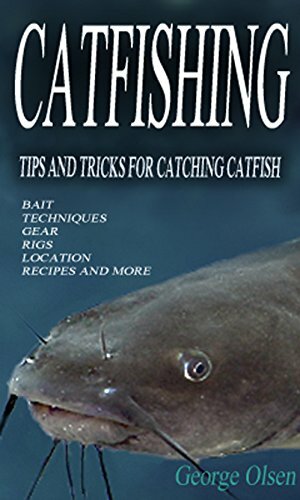 For those who buy their catfish, be sure to at least have an idea of where the fish came from. It should always have the country of origin somewhere on the package and cooks will want to buy U.S.A. only. Almost all imported catfish come from farms in Vietnam. While this is fine in flavour, the farms in Vietnam use antibiotics in the fish that are banned in the most Western countries. Furthermore, two varieties of Vietnam "catfish", the Swai and Basa, aren't technically catfish at all and not held to the same inspection standards. 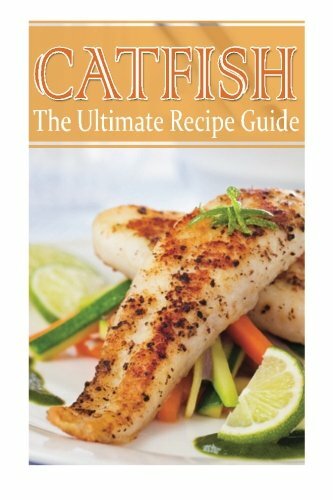 Finally, it is also worth noting that because catfish can thrive in farms, unlike halibut, cod, salmon, tuna or basically any other of our critically-endangered eating fish, catfish are the most ecologically sustainable option available for those precious fatty acids. The key is making them taste like those other overfished options, which, as it turns out, isn't hard. Some say you can't grill a catfish because it is simply too flaky and it falls apart. However, grilling is one of the favourite ways to cook salmon and that fish is just as flaky. It is not so much about the fish, but how you cook it. Flip a fish too much and it will fall apart. Wait patiently and only flip it once, and the fish will be just fine. Before setting the fish on the grill, give the grill a solid spray with the cooking spray to prevent any sticking. Combine the lemon juice, melted butter and lemon pepper and rub into the filets. Grill roughly for five minutes on each side with the lid of the grill closed. Gently prod with a fork, when the fish flakes with ease, it's ready to be served. I've always thought blackening was a waste on expensive fish. There are so many herbs and flavours involved; it could make anything taste good. However, there is no arguing that a well made blackened fish is still tasty. Combine the paprika, oregano, thyme, cayenne, sugar, salt and pepper in a bowl. Pat the catfish dry and pat in the spice mixture into the fish filets on both sides, coating them well. In a skillet, saute the garlic in the olive oil on medium heat until garlic is golden brown. Leave the oil, but discard the garlic. Add butter then heat until the foaming subsides. Add the catfish filets and cook for five minutes on each side or until it easily flakes at the center. Remove from heat and serve. Because everything is better with taco ingredients, enough said. Season both sides of the catfish filets with salt, pepper, paprika, lime zest, chili powder, and garlic powder then drizzle the filets with lime juice. Heat the olive oil in a pan and saute each filet for five minutes on each side. Remove from heat and cut the filets in half lengthwise or into chunks. Dice the tomato and onion, shred the lettuce and cut the avocado. Combine ingredients into the tortillas and sprinkle with mozzarella. You can use other cheeses, but with a tame flavour, mozzarella doesn't overwhelm the fish. Crab will always be the winner when it comes to seafood patties. However, this is a nice alternative to those allergic to shellfish or just have a lot of catfish and aren't sure what to do with it. Place the catfish filets on a baking sheet and cover with olive oil before seasoning with salt and pepper. Broil the fish until it is completely cooked through and flake it in to small pieces. In a large bowl combine the bread crumbs, corn, scallions, eggs and flaked fish. Mix well, but be careful not to turn the fish into complete mush. With your hands, reach in and make half inch thick cakes until the mix is gone. In a smaller bowl, combine mayonnaise, lemon juice and pickle relish to make a tartar sauce. Heat the oil in a skillet over medium heat and cook the cakes until crispy and golden brown. Serve with the tartar sauce. While fried catfish may be king in the southeastern United States, they do also have another favourite and that is covering the fish with sweet, nutty pecans. It's not fried, but it still captures the crispiness while providing a deeper flavour. As an added bonus, it is exceedingly simple to make. Preheat the oven to 450 degrees F and line a baking pan with non-stick foil. Finely chop the pecans by hand or with a food processor until they are small chunks, but not a fine powder. Mix the honey mustard with two teaspoons of water and brush over one side of each catfish filet. Sprinkle the mustard side with pecans and place in the baking pan. Bake for 14 minutes until the pecans are toasted and the fish flakes easily in the center.